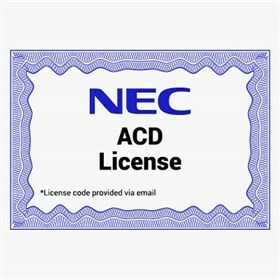 The NEC 1100091 is an Automatic Call Distribution license, which enables call distribution function. It provides 2 ACD groups and 16 ACD agents per system. It requires System Firmware 1.5 or higher and InMail Card. The NEC 1100091 has many exciting features for users of all types. The NEC 1100091 is sold as a Brand New Unopened Item.